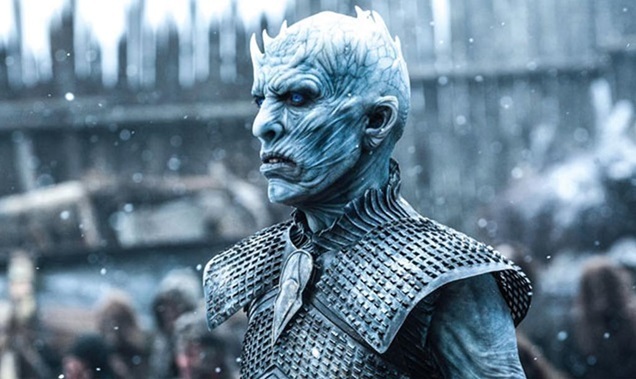 Game of Thrones made a blockbuster return this week, with some 16 million views in the US across HBO, video-on- demand and streaming. It’s tempting to make links between both the action in this iconic series and what’s happening in the UK television industry right now. As GoT has plenty of strong women leading armies into battle in series seven, so too, we in the UK now have not only a female Doctor Who, but two formidable women leading the top two commercial broadcasters. Have no doubt that big battles loom for both ITV’s new chief executive Carolyn McCall and C4’s incoming Alex Mahon as the TV industry struggles to adjust to disruption from the technology changes fuelling the rapid growth of Google, Facebook, Amazon and Netflix. Add uncertainty in the UK from Brexit, and concern over consumer spending having an impact on TV ad spend, and it’s a rich cocktail worthy of a Lannister family banquet. While no one knows whether Carolyn or Alex will become TV’s Mother of Dragons, both will need to be up for a fight, as they face battles that would fi t perfectly into any Westeros storyline. The biggest issue for the big commercial TV beasts is falling advertising spend. This week’s PWC report on the effects of Brexit underlines how the near future for commercial businesses and consumer spending in the UK looks rather bleaker than even six months ago. PWC has trimmed UK growth forecasts, saying businesses in many sectors are holding back on investment. Coupled with the falling value of the pound, spending on foreign goods and services (like TV talent or locations, for example) is more costly. ITV has forecast that ad income will be down 8-9% for the first half of 2017 and forecasters say things will get worse before they get better. McCall trebled EasyJet’ share price over her seven-year tenure, but will she be able to provide the same for ITV, which has been considered a takeover target for many months now? At C4, Mahon faces the same big-picture advertising issues, plus continuing government pressure to move some or all of its operations outside of London, which the channel’s chairman believes has “substantial risks attached”, not least the extra costs of relocating in this febrile environment. The two chief execs also face on-screen issues, not least as both must keep ramping up their online and on-demand offers. Outgoing C4 content chief Jay Hunt’s big bet on recasting The Great British Bake Off will emerge from the oven next month. Hopefully it will be a genius move akin to the resurrection of Jon Snow, rather than a Red Wedding bloodbath. At ITV, there is the nagging concern that its biggest primetime shows are ageing franchises such as The X Factor. The cost of producing top TV is rising at the very moment when the commercial outlook for the biggest TV companies – and I would include Sky in this – is under pressure. The cost of producing premium TV, and premium drama in particular, is high. There is huge demand for more and better content from both the traditional TV players and the big digital platforms, with their deep pockets and global footprints. The digital guys are like the White Walkers, unstoppable creatures that are the biggest threat to everyone. Just look at the stunning Netflix results this week to get a glimpse of the power of these platforms: 103 million global subscribers, with a record 5.2 million subs added in the second quarter, driven by international growth. The next and final series of GoT is still being written. Let’s hope that, like our TV version, it has a good outcome, though given GoT’s pedigree, it’s going to be a pretty wild ride for both. The Battle of British Television looks like it is already heading for a Battle of the Bastards showdown.